Emmy-winning actor Tom Aldredge (b. Dayton, OH, 28 February 1928; d: Tampa, FL, 22 July 2011) was ubiquitous on the American stage and screen for five decades, appearing in vehicles ranging from Sondheim musicals to The Sopranos on HBO. Never a leading man, he was playing cantankerous senior citizens, both comic and serious, before he was fifty. Thomas Ernest Aldredge was the son of a colonel in the United States Army Air Corps, and as a young man had not the least notion he would become an actor. He was in a pre-law program at the University of Dayton in the late 1940s, expecting to go to law school after graduation, but a visit to New York City in 1947 changed all that. Wandering about the Times Square district, he became curious about the interiors of those grand theatres, and approached two heavy-set fellows who he presumed to be stagehands taking a break in an alley. He asked them for a peek inside. “Buy a ticket,” sniffed one of them, so he did. It was for A Streetcar Named Desire, it cost $1.80, and the presumed stagehands turned out to be Karl Malden and Marlon Brando. Aldredge did an about-face and entered the Goodman School of Drama in Chicago to train as an actor. He made his Broadway debut in 1959 in The Nervous Set, an unbiased but somewhat inconclusive musical about beatnik life in New York. 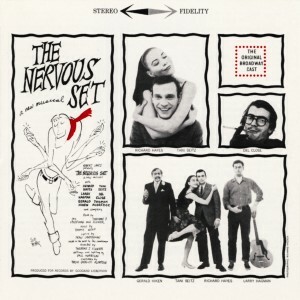 It survived for only 23 performances, after which Aldredge remained in the city to perform with a Greenwich Village improvisation troupe called Premise, which also included Buck Henry and Gene Hackman. From 1966 he was in a series of flops and soon-forgotten Broadway plays, until in 1972 he won a Drama Desk Award and a Tony® nomination for Best Actor for his portrayal of the father of a blinded Vietnam veteran in David Rabe’s Sticks and Bones, which won the Tony for Best Play. It was made into a movie (with Aldredge) in 1973. Aldredge followed this signal victory with 85 Broadway performances as James Cameron in a revival of The Iceman Cometh and his first appearance in a musical, a revival of Where’s Charley? with Raul Julia, which brought Aldredge (as Mr. Spettigue) his second Tony® nomination. He played the only representative of European civilization in Tom O’Horgan’s bomb, The Leaf People, and followed that with a truly memorable performance as Will Somers, Henry VIII’s court jester, in Richard Rodgers’s and Sheldon Harnick’s musical Rex (1976). In 1978 he played the Archbishop of Rheims to Lynn Redgrave’s St. Joan, and the original (80-year-old) Norman Thayer, Jr. opposite Frances Sternhagen in On Golden Pond, winning a Drama Desk Award nomination. Aldredge had been appearing in movies since the early 1960s, and over the course of his career made 36 films, more or less, both features and short subjects. Most noteworthy were Ten Blocks on the Camino Real (as Baron de Charlus, 1966), What About Bob? (as Mr. Guttman, 1991), The Adventures of Huck Finn (as Dr. Robinson, 1993), and Cold Mountain (as a Blind Man, 2003). In addition to films for TV he made appearances on N.Y.P.D. (1969), Wide World of Mystery (1974), The Adams Chronicles (1976), and on The CBS Festival of Lively Arts for Young People, playing Shakespeare in the episode “Henry Winkler Meets William Shakespeare” (1978), and winning a Daytime Emmy Award. Other TV series included 2 episodes of Law & Order, (2000–2001), 23 episodes as Carmela’s father Hugh DeAngelis on The Sopranos (2000–2007), 11 episodes of Damages (2007–2009) and 3 episodes of Boardwalk Empire (2010). 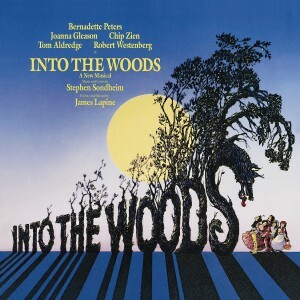 Probably Tom Aldredge’s most famous role was that of the Narrator and The Mysterious Man (The Baker’s father) in Stephen Sondheim and James Lapine’s Broadway musical Into the Woods (1987). This production ran for nearly two years, won three Tony Awards® and five Drama Desk Awards, and was recreated in a film shown on PBS Great Performances in 1991. Aldredge also originated the role of Dr. Tambourri in the next original Sondheim/Lapine musical collaboration, Passion (1994). Passion won Tony Awards® for Best Musical, Best Book, Best Score, and Best Actress, and got six more nominations, including one for Aldredge for Best Featured Actor. From the Drama Desk the show received highest honors for its Book, Music and Lyrics, Orchestration, and leading actress. 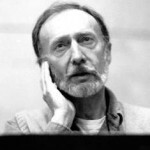 Other notable Broadway appearances by Tom Aldredge were in The Little Foxes, a 1981 revival starring Elizabeth Taylor in which he played her dying husband, Horace Giddens; the 1997 revival of Inherit the Wind produced by Tony Randall; and revivals of The Three Sisters (1997), 1776 (1997), The Crucible (2002), Twentieth Century (2004), and Twelve Angry Men (2004). For his performances in The Little Foxes and Twentieth Century he was nominated for Tony Awards®, bringing his lifetime total of nominations to five. His roles with the New York Shakespeare Festival included Tybalt in Romeo and Juliet, Sir Andrew Aguecheek in Twelfth Night, King Lear’s Fool, and the title role in Cymbeline. Aldredge was married to Tony®– and Oscar®-winning costume designer Theoni V. Aldredge from 1953 until her death in January 2011. He died from lymphoma just six months after, in a hospice in Tampa, Florida.